Dr. Dorothy Roberts will be speaking for the Minx Auerbach Lecture in Women's & Gender Studies. 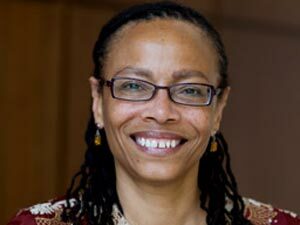 Dr. Roberts is an American scholar, public intellectual, and social justice advocate. She writes and lectures on gender, race and class in legal issues. Her concerns include changing thinking and policy on reproductive health, child welfare and bioethics. Roberts is the author of Fatal Invention: How Science, Politics, and Big Business Re-create Race in the 21st Century; Shattered Bonds: The Color of Child Welfare; and Killing the Black Body: Race, Reproduction, and the Meaning of Liberty. She has published more than 50 articles and essays in books, journals, newspapers, and magazines as well as co-authored casebooks on constitutional law and women and the law. The lecture is free and open to the public; reception to follow.